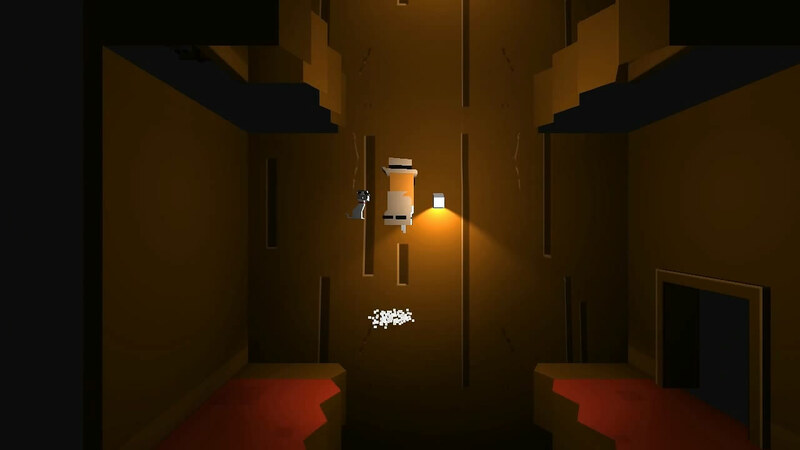 The trend of me finding cool and unique indie games at PAX Prime 2013 persisted into the last day, when I encountered Hot Tin Roof by Glass Bottom Games, founded by Megan Fox (no, not the actress), former senior graphics designer for Lego Universe. Megan’s role is also that of programmer and designer at Glass Bottom. Hot Tin Roof immediately reminded me of Gunpoint because of its unusual focus on noir. There, however, is where the similarities end. 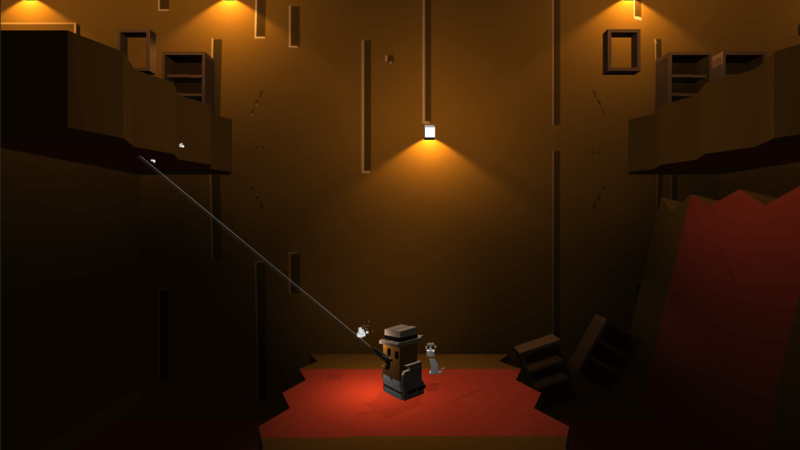 Hot Tin Roof is noir, but done with block-like characters. Imagine original NES art rendered in a 3D world, and you’ll get the idea. It’s described as a mash-up of Zelda, Super Metroid and other games. Though I didn’t entirely see the similarity in my short demo, I must say that it was very fun. 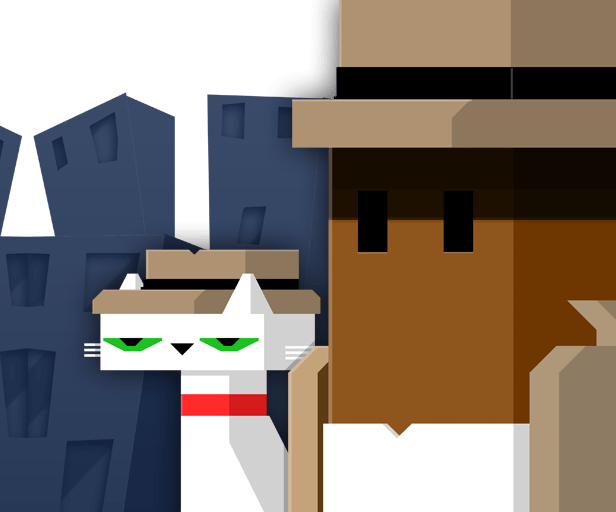 Players play Emma Jones, a fedora-wearing blocky detective assisted by her partner and cat Francine who must solve various murders. Despite having a gun, you progress through non-violent means—no shooting your way out of rooms or similar nonsense. Instead, you use your gun to distract, immobilize and otherwise improvise in any given situation. You can load various bullet types into your gun using the left joystick, then fire them in succession for unique puzzle solving. Apparently, by solving murders, you are rewarded with new gear that unlocks different abilities and ways to progress. 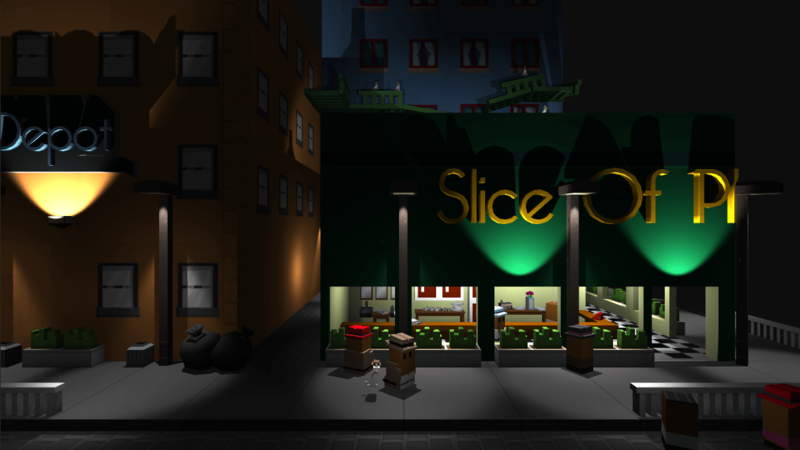 The noir ambiance translates to the music and lighting, as well, not to mention the ample dialogue. Hot Tin Roof is being developed for Windows, Mac OS, and Linux. It’s already halfway funded on Kickstarter, with about 26 days to go. Not that this means you shouldn’t pledge some money—whether it gets released on other platforms depends on how well the Kickstarter does. Games like this simply don’t come out very often, and Hot Tin Roof has wit and charm to spare. So be a doll and mosey on over to their Kickstarter if you’re interested.